The Daily Bruin produced the above graphic. We had previously noted these data in an earlier post. But the Bruin article adds the info that the annual cost to UCLA is estimated to be $2-$3 million. 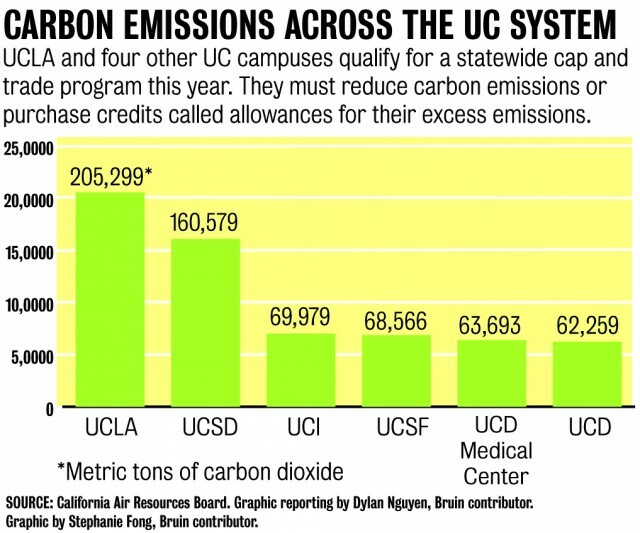 The article is at http://dailybruin.com/2013/04/09/uc-looks-to-reduce-carbon-emissions-comply-with-cap-and-trade-policies/. 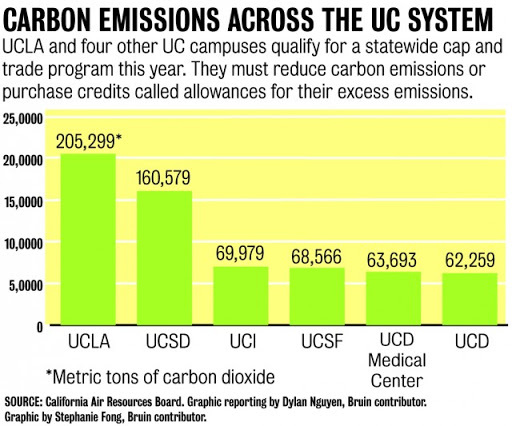 Our previous post noted that the main source of UCLA emissions is the campus power plant. See http://uclafacultyassociation.blogspot.com/2013/03/emisions-remissions.html.